The lyrics of the Lloyd Cole song “The sickest joke was the price of the medicine” is ringing in my head for some reason today. 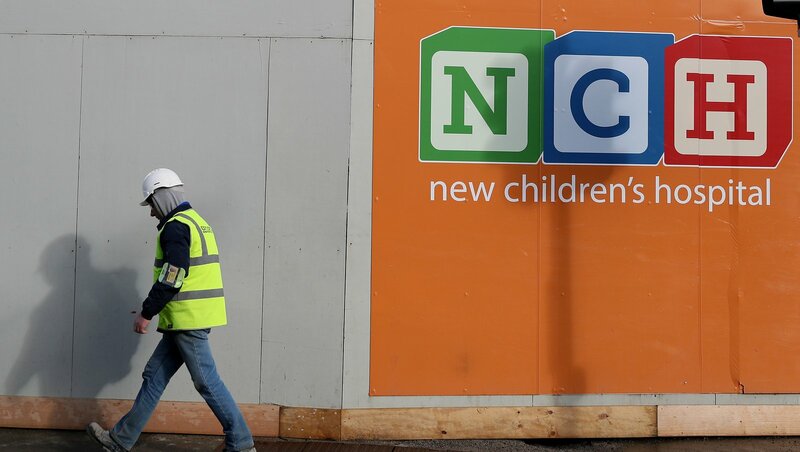 It’s pretty much accepted now that the Children’s Hospital project is our latest and proudest Irish debacle; before it’s even begun it’s running at pretty much three times the originally projected cost … money that could easily be lent to Donald Trump who desperately needs it for his wall or maybe even some affordable housing here in Ireland? The media and the opposition benches scream for answers and an expensive enquiry and while we are at it I think we would like to know how this is possible in an era of “transparency and accountability”. Simon says (that was a kids game we all played, maybe it’s still a game?) very little except sorry – really puzzling why he seems to be protecting people he should be exposing and why he is so slow out of the communication blocks. Theo the contractor fights back at Leo with a big “you talking about me? ?” and bravely looks for clarity and offers to step away from the contract as he knows this whole insinuation is extremely smelly for his company. All of this talk is really damaging to their reputation and he should fight to protect it. It’s very likely that he knows full well that any cancellation of contracts will earn the company penalties that us mere mortals could live lavish lifestyles on. So… what should happen next ?? The most likely scenario is that the contract will plough ahead and Leo will be nice to Theo and insist he didn’t mean them when he spoke about “low-balling contractors that should be banned from tendering” and no one will believe him. However if Leo believes what he said he should show some balls, fire the team who wrote the tenders (this is a big part of the problem), pull the plug on the existing tender and start again with a water tight tender and a rigid process that is fair to contractors in the event of any legitimate changes to the work. 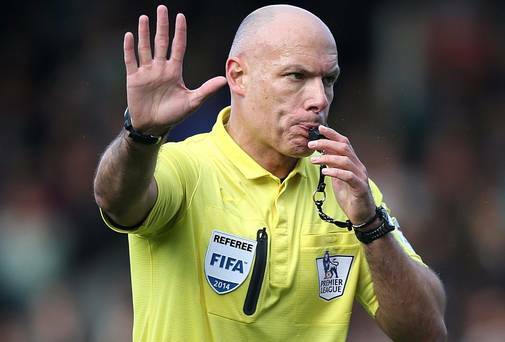 As for penalties for dismantling the current tender contracts they should most definitely be paid, but these amounts should be fair compensation for any losses incurred to date and nothing else – the PwC fee note might be better used officiating over this figure rather than on a report, which in all likelihood will go nowhere and will lead to nothing. These penalties, valuable taxpayers money, will be the fault of those who were paid to oversee the tender process, not the contractors who were awarded them and they should be held accountable. If Theo and his crew are still interested in doing some great work on a badly needed hospital then go for it and make your fair profit, you deserve that. We need that hospital built as soon as possible but at a price that we can all believe was fair. Protection for (or from) Whistleblowers! Frances Fitzgerald, the Tanaiste has resigned “for the sake of the country“..
Leo Varadkar, the Taoiseach has thanked her, for her service and has declared that it is a shame that a good woman who has done nothing wrong has resigned..
Fianna Faíl have got their way and they will quietly sit in the wings waiting, waiting, waiting until the perfect moment to pull that trigger. They exercised their power in a big, public gesture and won this power battle..
Noel Waters, Secretary-General of the Department of Justice has decided to take early retirement and he is angry about the witch hunt against the organisation that he has been in charge of..
Noírín O’Sullivan, the Garda Commissioner, who was publicly supported by the Government retired in September (after her holidays!).. A devious, nasty campaign against Maurice McCabe, the Garda Whistleblower, Parking Fines, Breath Tests – the whole thing is a shambles, a debacle of monumental proportions and yet at this moment in time no one is saying sorry and no one seems to be doing anything to sort anything out. One of the critical instruments of the State, our police force, is totally out of control and no one is taking any responsibility – “I did nothing wrong“…The problem is that you did nothing!!! 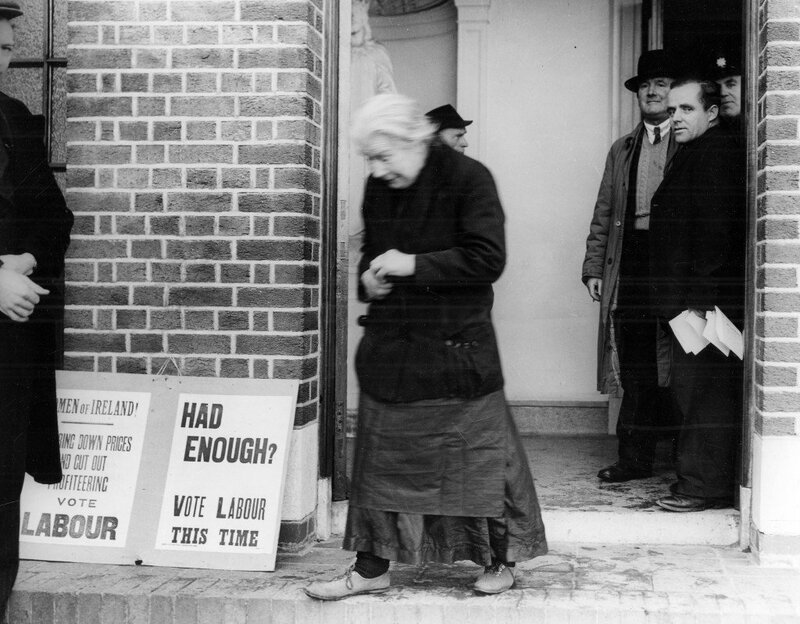 But, phew..the crisis has been averted for now and there will be no General Election this side of Christmas – we can all get on with our shopping. Somewhere in the mix, the whole point of all of this seems to have gone over everyone’s heads. Have we heard anyone in authority saying (in a manner that we believe them) that we will not put up with any corruption in our State organisations as it will not be tolerated and any whistleblower will get all of our protection? Have we heard anyone apologising publicly to Maurice McCabe? Instead we have listened to horrendous stories of legal strategies against him and “it wasn’t in my jurisdiction to interfere“. In this country we have legislation that was enacted in 2014 to protect Whistleblowers. The Protected Disclosures Act 2014 aims to protect people who raise concerns about possible wrongdoing in the workplace. The Act, which came into effect on 15 July 2014. It provides for redress for employees who are dismissed or otherwise penalised for having reported possible wrongdoing in the workplace. Under the Act, you make a protected disclosure if you are a worker and you disclose relevant information in a particular way. Information is relevant if it came to your attention in connection with your work and you reasonably believe that it tends to show wrongdoing. This wrongdoing may be occurring or suspected to be occurring either inside or outside of the country. Even if the information is proved to be incorrect, you are still protected by the Act provided you had a reasonable belief in the information. 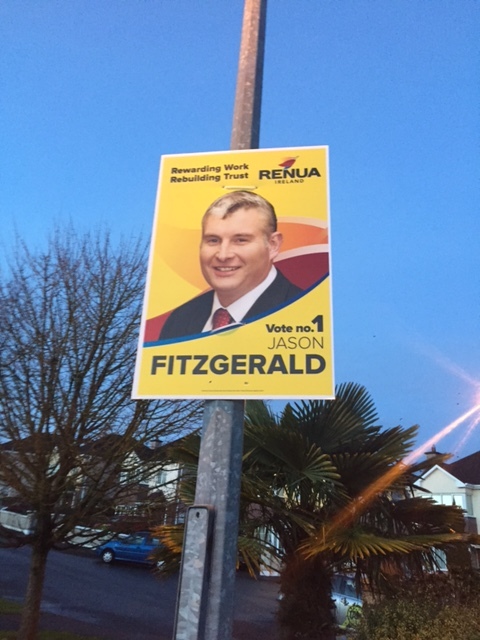 Wrongdoing is widely defined in the Act and includes the commission of criminal offences, failure to comply with legal obligations, endangering the health and safety of individuals, damaging the environment, miscarriage of justice, misuse of public funds, and oppressive, discriminatory, grossly negligent or grossly mismanaged acts or omissions by a public body. The definition also includes the concealment or destruction of information about any of the above wrongdoing. The Act gives people anonymity, it describes how people should go about making a Protected Disclosure and it outlines how the Employer must act when presented with a disclosure. All of this sounds great in practice, and there will be a poor sod who actually believes it and goes about reporting something they feel morally bound to do!! (Ssssh..if he/she was a friend or work colleague of yours what would you whisper in their ear?). So, taking the whole recent circus into account, lets be really honest here for a moment. If you were in the scenario, working for a State body and who felt strongly about some bad crap or “wrongdoing” that was going on where you worked what would you do? I’m guessing you would either shut up and say nothing (and perpetuate the problem) or just leave. We have all learnt a big lesson – don’t complain!! This is a wonderful country..
“Enda Kenny’s St.Patrick Days trip to the U.S. costs the taxpayer €35,000” read the headline in this newspaper article I read at the weekend. The article documented blow by blow how and where these costs were accumulated as well as the costs of the other Ministers who travelled overseas for our national festival, that day when the whole world acknowledges and celebrates our little country. St.Patrick would be a great Marketing/PR trick for Ireland if we had planned it!! 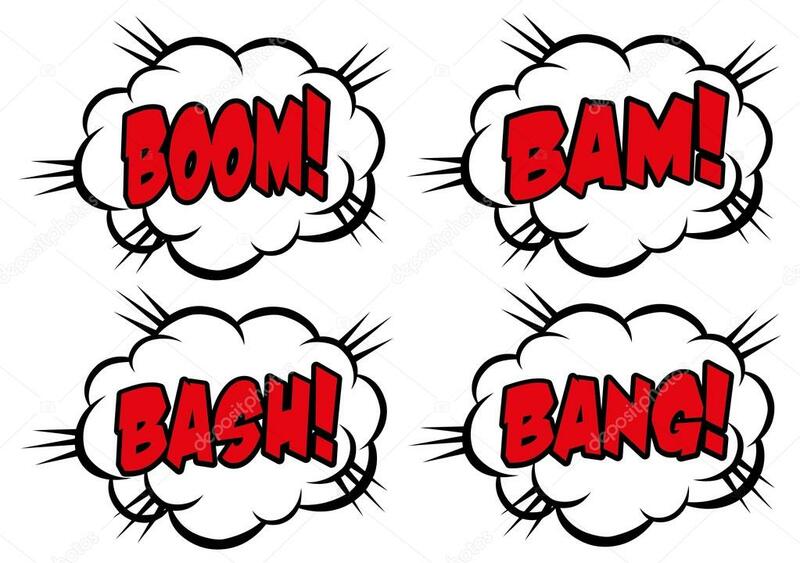 Rage, rage and more rage – thanks for exposing this abomination!! 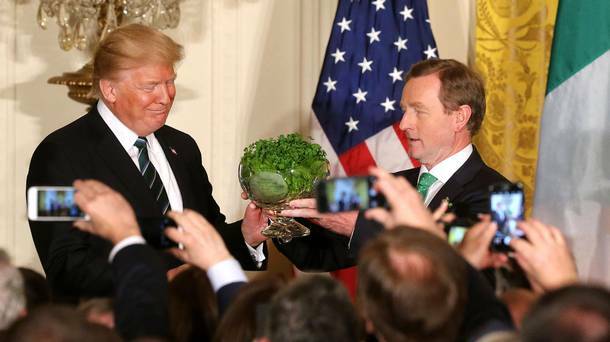 In my humble view, Enda Kenny’s U.S. trip was well worth every cent and much more as he flew a flag for illegal Irish immigrants and our continued trade in the very delicate Trump era. This simple visit will help to preserve our special relationship with an economy that is more than vital to us. In terms of the cost of the trip do we really expect the leader of our country to travel Economy, take public transport and book into 3-star hotels?!! Come on guys, less of the headlines that are designed to incite the typical anger and let’s focus on the insights. If things weren’t bad before, they became even worse this week for An Garda Síochána when it was revealed that an “incorrect” sexual abuse file was held against Maurice McCabe by Tusla, the family and child protection agency. Everyone in the media is being extra careful to avoid stating the obvious conclusions as they risk getting into trouble legally. However, they have published the various statements by those parties involved and reported the facts as they came to light and they keep probing and probing for the truth in this sinister mess to reveal itself fully. Incidents like this demonstrate once again why we need professional, intelligent journalism to bring us the truth as we can’t rely solely on social media to deliver this. Social media is fantastic as it gives us a powerful voice to demonstrate our dissatisfaction as loudly as we feel is appropriate. We heard the statement by the Garda Commissioner, Nóirín O’Sullivan, the leader of the organisation who has claimed that she know nothing of the sexual abuse shenanigans with the whistleblower, Maurice McCabe. Tusla in the meantime have issued their own statement claiming that their file against Maurice McCabe with the atrocious false claims against him were a ‘clerical error‘. The comical little addition to the Tusla story was that their official apology to Maurice McCabe was sent to the wrong address! 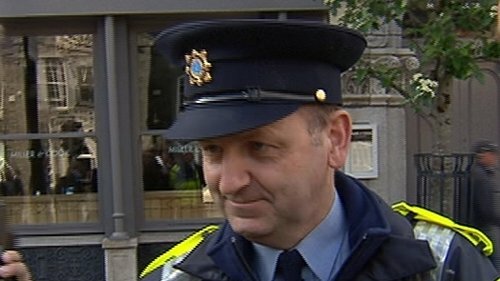 The public are no fools and the generally held, unsurprising conclusion about this story is that senior members of the Gardaí who were unhappy with their whistle blowing colleague tried to smear his reputation in the worst possible way to punish him and protect themselves. Even worse in this sorry saga, Tusla were obviously happy to play ball with their Garda acquaintances. We cannot trust An Garda Síochána and we cannot trust Tusla. When you consider the crucial role that both of these state bodies are paid to provide, ‘trust‘ is not a negotiable, nice to have attribute. Trust is everything. To begin the long road of rebuilding trust in both organisations there can be no more fluffing about and decisive action and clear communication is required. Our strong advice to those in charge would be to get ahead of the story, remove all doubts and demonstrate in no uncertain way how important regaining trust is. This is the time for An Taoiseach, Enda Kenny or Minister for Justice and Equality, Frances Fitzgerald to take decisive action and remove Nóirín O’Sullivan from her role and get the investigation started immediately. 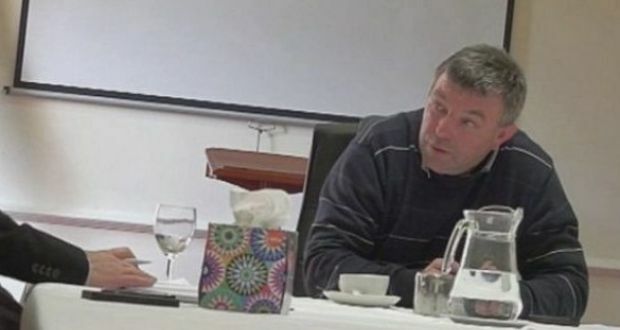 This is the time for Minister for Children and Youth Affairs, Katherine Zappone to demand a 100% honest statement from the CEO of Tusla, Fred McBride as to what actually happened. If this is as farcical as the ‘clerical error’ statement, he should also be removed from his role. 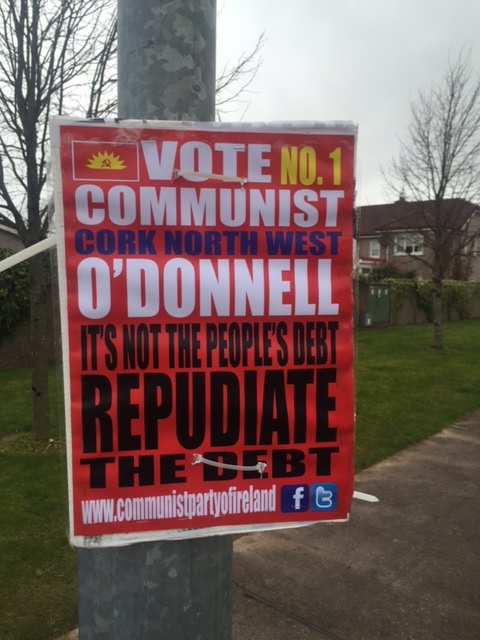 The reputation of these two state organisations is not negotiable – start demonstrating it. 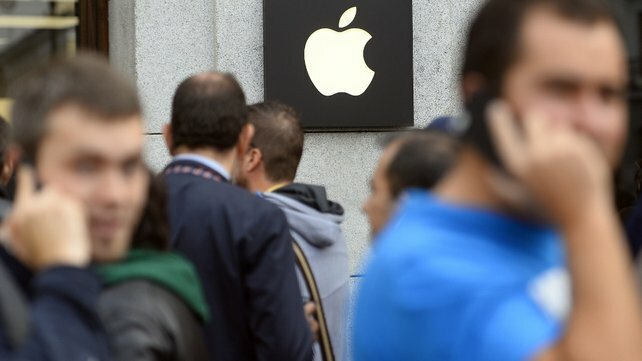 The EU want to charge Apple for back taxes to the tune of €13 billion – Ireland are supposed to get this money and we are all in a flap because this is an unlawful challenge to our tax system so we are appealing!! Of course the giant have made colossal money and their tax gurus have used every possible loophole and structure to avoid paying the taxes that we get clobbered with. Is this right and moral? – this is a great question but Ireland has had this fantastic “anchor tenant” in our country, which has no doubt helped us to attract other high profile foreign tenants. Pierre wants to start his own revolution!! It’s all very strange timing from the EU coming on the heels of the Brexit vote – are they now walloping us for being so adamant and vocal about the importance of our relationship with the U.K.? In the meantime our government aren’t taking this “attack” lying down as Taoiseach Enda Kenny and Finance Minister Michael Noonan have launched their own blistering attack on Europe over its ruling, accusing Brussels of using the scandal to create a “bridgehead” to target Ireland’s 12.5% corporation tax. Our language got even stronger as they claimed the European Commission was “bullying” Ireland in the same way it did during the bailout. The boxing gloves are well and truly on with the EU. The Cabinet made a “unanimous” decision to appeal against the ruling but then the politicians started playing their usual games and two ministers undermined this stance when they said they still believe multinationals are not paying enough to the State. Doh! It’s all very odd and confusing and it makes you wonder about the world we live in where the story of a genius company led by the true revolutionary, Steve Jobs comes crashing into the story of world politics and taxes or should we just say money. These are very strange first world problems that other parts of the world would love to have right now.. 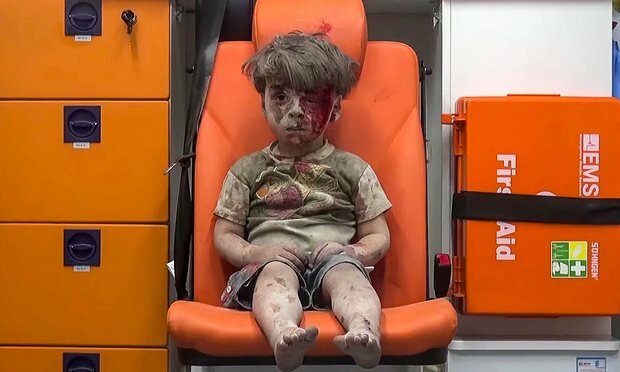 This is the recent photograph of five-year-old Omran Daqneesha who was sitting dazed and bloodied in the back of an ambulance after surviving a regime airstrike in Aleppo, highlighting the desperation of the Syrian civil war. If you mention gender quotas to me you will probably sense my temperature rise and start to notice the steam emerging from different parts of my body! I want the best person to get the job but I do absolutely believe that we need to do everything to make sure this can be a woman or a man with no disadvantage to either. However (this is huge coming from me!) 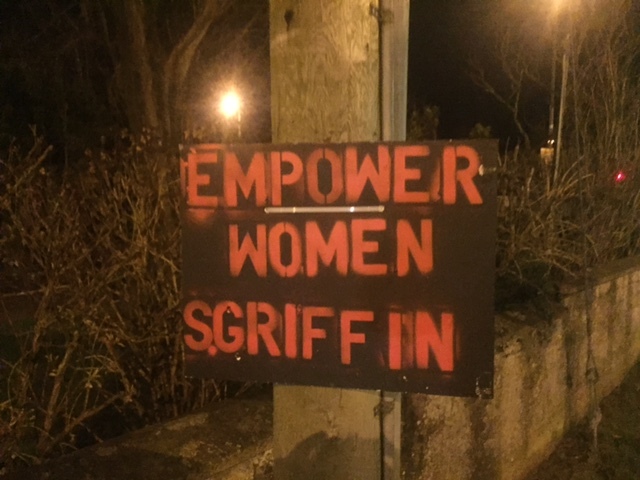 watching the political standoff between Fianna Fail, Fine Gael, the independent candidates and the other parties as Ireland struggles to form a government reminds me of some of the key messages I heard recently at the Network Ireland, International Women’s Day event. It wasn’t that there were too many men involved but the point was there was too much “masculinity” in the mix – too much testosterone, too much macho stuff, too much bravado, too much risk taking, too much ultra competitiveness and too many egos recklessly driving the banking system off the cliff. All of these characteristics can be demonstrated by men or women but they are typically masculine traits so a gender balance could provide some protection against the potentially dangerous excesses of these traits. This point really impacted on me – I understood exactly what she was saying and I can see the danger myself of too much of any particular trait in an organisation. I met a Canadian woman at the same conference who operates a large energy company in Canada and we spoke about this issue. She’s not in favour of quotas but she explained that in her business it would be virtually impossible to manage a team of all men and it would be just as difficult with a team of all women. In her experience the guys are just too macho and the women are too passive and cautious – she reckons a balance works best and in her industry she reckoned 60/40 works best and this is what she strives for when assembling teams. With our political impasse at the moment I notice that nearly all of the posturing, which is getting us nowhere is very masculine. We desperately need to sort this out and get our country back on track – maybe we should introduce some femininity and get this process moving? 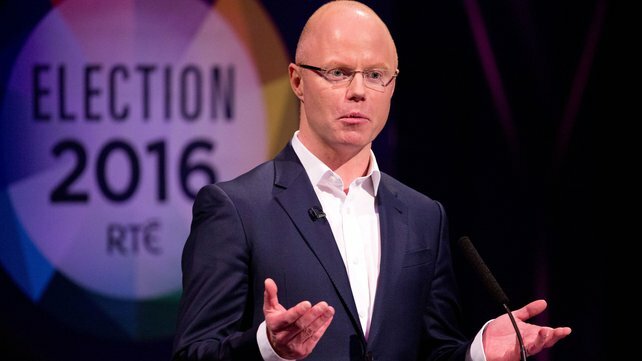 Stephen Donnelly of the Social Democrats did really well during the General Election Leaders Debate on RTE this week. He comes across as an articulate, intelligent and impressive individual and his performance was one of the things that many people were talking about after. He won over some of the audience! While he is very impressive it is very hard to buy into a manifesto that wants to keep taxation high and let the state use those funds. If I thought the public service was capable of spending this money wisely and efficiently there might be some merit in his arguments but this just isn’t the case. Also this high personal taxation philosophy is a huge deterrent for human talent to work and live in Ireland. Sorry Stephen – people want to be able to enjoy the spoils of their labour and will move to more favourable regimes such as the UK to make that possible. My other half, Deirdre Waldron said as much on Twitter (I would consider her to have a lot of influential followers) and effectively she gave his performance a big ‘thumbs up‘ publicly. She wasn’t the only one who did this I noticed. While this online endorsement is great for Stephen it leaves a huge ‘Opportunity‘ door wide open for him to walk through. Of course it’s up to him and his team to grab this opportunity. What if he could do something really simple to grab this tangible goodwill and take it to a higher level? What if he could do something really easy to take this positive feedback and convert it into a supporter or a fan even? What if he could take a few little seconds and grab a simple chance to show an online audience that he is a really great and very popular guy? What if he decides to do nothing? Dee is thinking …hmm, I said something complimentary and it wasn’t even acknowledged. That’s not very nice, I won’t do that again. Dee is thinking…hmm, It’s nice to see that he acknowledged the positive thing that I said. He is one of the good guys. That positive impression has been reinforced and she might even repeat the positive posts about him in the future. He engages with the post.. This is the ‘Holy Grail‘ of social media and it is the big prize, the gift, the one thing that is waiting there to be easily plucked from the tree. 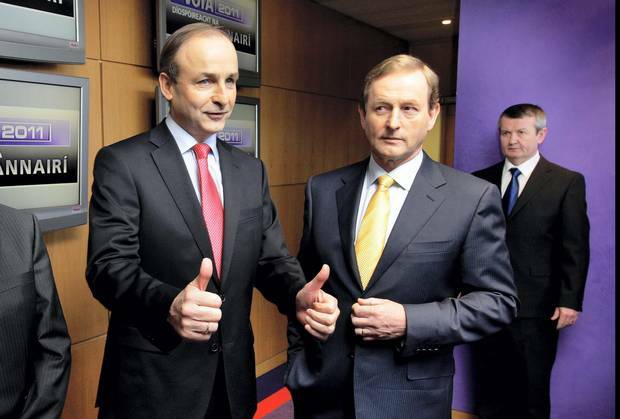 Dee is thinking..hmm, this guy is the real deal, he would be a great person to have working for us in Dail Eireann. 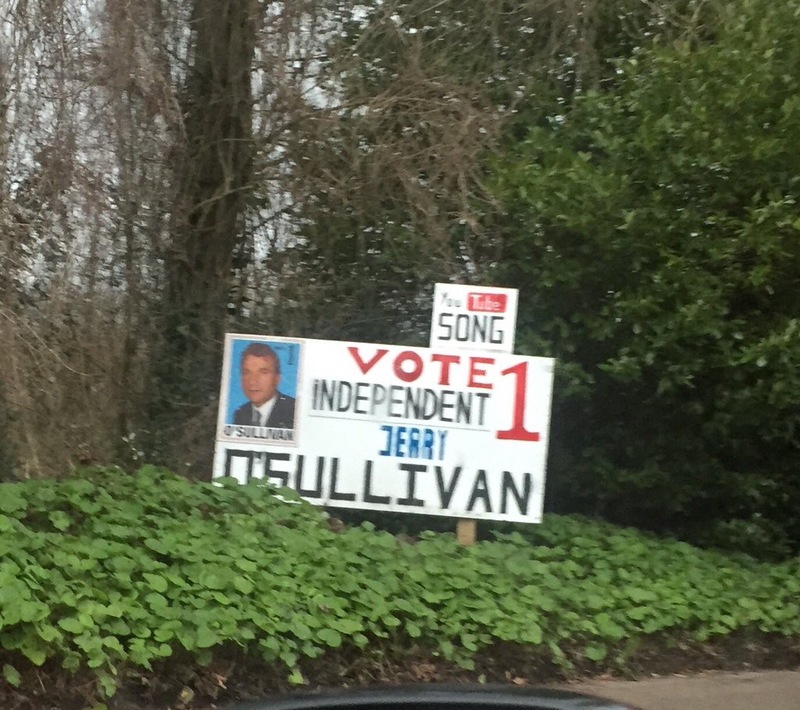 I’m going to follow him and listen carefully to all of his proposals and arguments and I might take his local candidates more seriously. 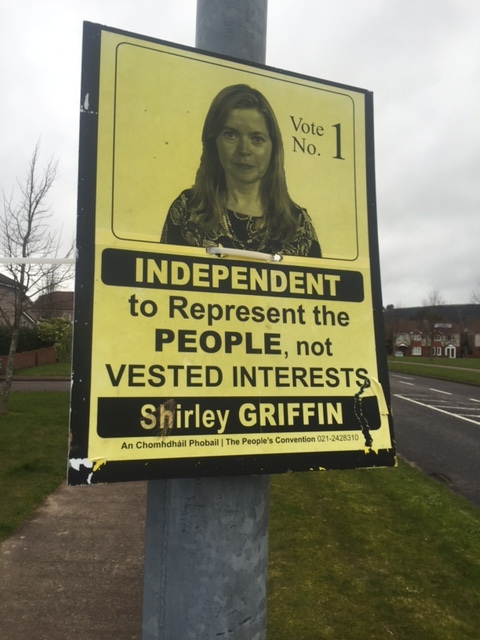 Now Stephen has won her over and one vote turns into two and so on..
Why is it not happening? Maybe this very sharp and intelligent guy who is out there giving it everything, just doesn’t get this simple trick? Maybe he just doesn’t have the time? – I’m sure he doesn’t but he can surely get someone who understands his message intimately enough to assist him with his Twitter account. These are easy wins for Stephen and so many of the other politicians who have positive momentum. If they are serious about getting each of those precious votes then grab the golden opportunities by jumping in – Acknowledge and Engage. The opportunities are there …grab them! 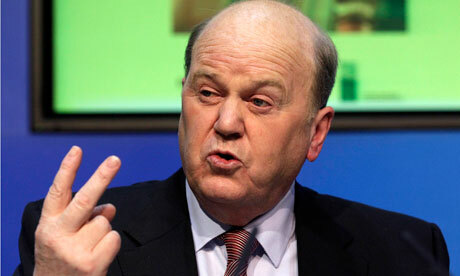 Click to view the full Fianna Fail Joe Quennan statement. It was an appropriate statement and it was very important that Fianna Fail issued it quickly but I do have a big question – why a Spokesperson? Why do organisations like this choose to go this anonymous, nothing ‘spokesperson‘ route instead of grabbing the opportunity and demonstrating clear leadership, authority and direction? We don’t want a ‘Spokesperson‘!! Instead we want a leader, someone who speaks out, someone who is willing to take responsibility and put their name behind the statement and show clearly what is expected of their organisation. We want a person who will take the interviews, face the music and show some conviction. Next time you are writing a press release try to avoid the bland, cop out of the “Spokesperson said” if you want to show leadership and authority and you want people to take you more seriously. Well done to the Primetime Investigates team at RTE! Giveaway budget – Yes Please! I’m listening to the commentary and the opinions about the upcoming budget. 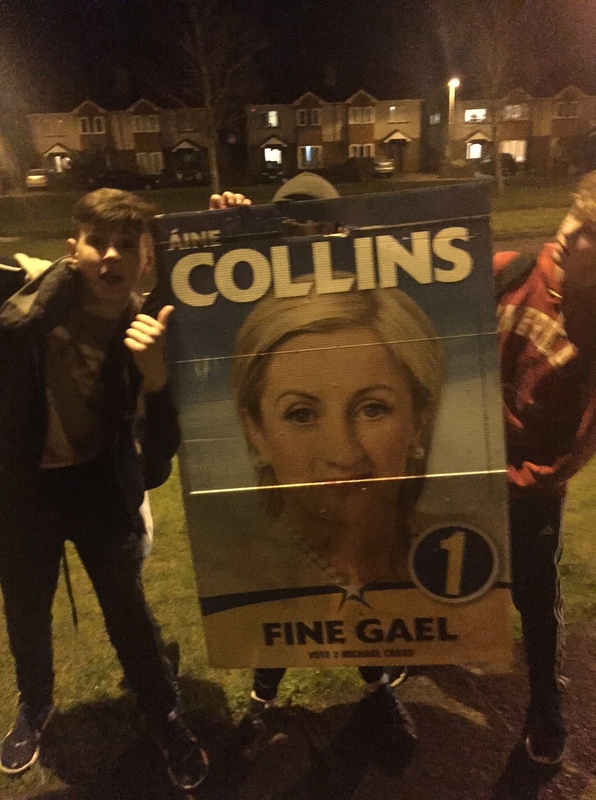 Already the accusations are flying that Fine Gael/Labour will be trying to ‘buy’ the next election by making this a giveaway budget – putting smiles on voters faces and all of the different vested interests is a terrible thing? I’m reading the Irish Examiner and DKM Economic Consultants are questioning the need for the government to pump significant sums into the economy this budget. The Economic and Social Research Institute (ESRI) are making the same noises: “expansionary budgets could inflate the economy“. Guys … you have got to be kidding me? The stats show our economy is growing at 6% but surely this is from quite a low base. Personal consumption is starting to grow not because of a huge increase in incomes but because confidence is returning and people are not petrified of spending. In the last few years big chunks have been taken from all of our pay packets and we deserve to start getting some of this back as things improve – we have to start enjoying the fruits of our labour once again. Ann Cahill has written a fantastic article in the same issue about how “Workers are ‘left behind’ in Recovery” – this is a fact based article based on the Eurostat report. Please look at the unemployment figures – we have one of the highest numbers of long term unemployed in the European Union. Take a look at the issues we have with homelessness. Take one look at the empty shops in our villages, towns and cities and wonder why is this the case? Thankfully there is some progress here and we are starting to see new places opening but there is still a huge way to go. I welcome with open arms any increase in spending and reductions in taxes – let it come into our pockets and let us enjoy spending it and let us carefully get back to a much better country than the one we have right now.